Yoruba rap music and a popular rap act, One of the pioneers , Segun Osaniyi, aka Lord of Ajasa is critically ill and urgently needs funds to undergo a peptic ulcer operation. It was gathered that the ‘Lefenuso’ crooner who dominated the music scene in the late 90s and early millennium is currently hospitalized at the Ikorodu General hospital, where he is receiving treatment but needs to be relocated to a better hospital for better medical attention. In a post shared via his official Instagram page, popular singer, Alariwo of Africa called for urgent support for the rapper who we learnt is facing hard times at the moment. 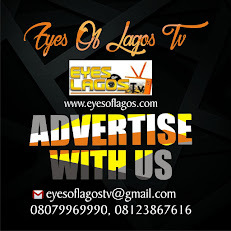 At the moment, Eyes Of Lagos cannot independently verify the status of the rapper who shot into limelight with the track titled ‘Ma yi Lo’ in the 2000. However, the call for donations for his medical care continues with music enthusiast currently sharing the message across social media networks.